Fort Washington State Park is rich in modern recreational facilities and historical significance. The park takes its name from the temporary fort built by George Washington’s troops in the fall of 1777, before heading to Valley Forge. Fort Washington blossoms with flowering dogwood in the spring and the park is popular with hikers and picnickers. The seasonal migration of raptors is enjoyed by many avid birders from the parks observation tower. Fort Washington has 3.5 miles of trails, fishing, a disc golf course, a softball field and lots of space for other activities. Scouts are welcome to bring fishing gear (note you may need a fishing license if you are of a certain age), or equipment for other activities. 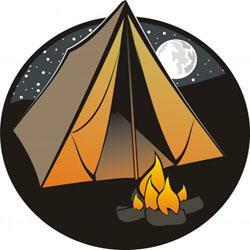 We ask for all headcounts as soon as possible by emailing signups with the subject line ‘FORT WASHINGTON CAMPING’. Payments can be made in person at the gym on Thursday August 13th, 2015 between 7:00 PM and 8:30 PM when we have our Crew meeting.